Hope everyone is well . Spring finally arrived so it's time to wear light clothing. As I have promised a while ago , I will try my best to be more constant on the blog , sharing more outfit posts and travel diaries. Thus, keep an eye on the blog and my Insta since there a lot exciting things coming very soon. 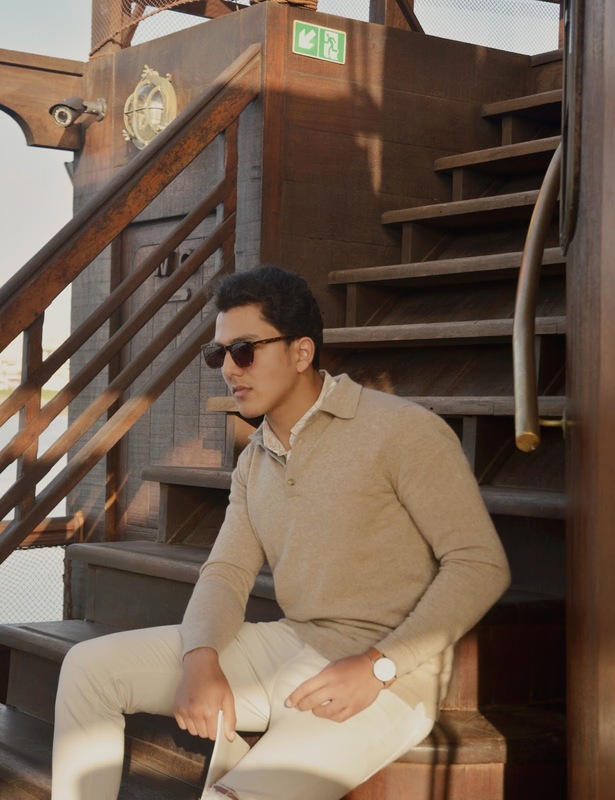 So as the spring here i decided to make the photoshoot for Luca Faloni's polo sweater that i received a while ago and i just had the chance to wear it. 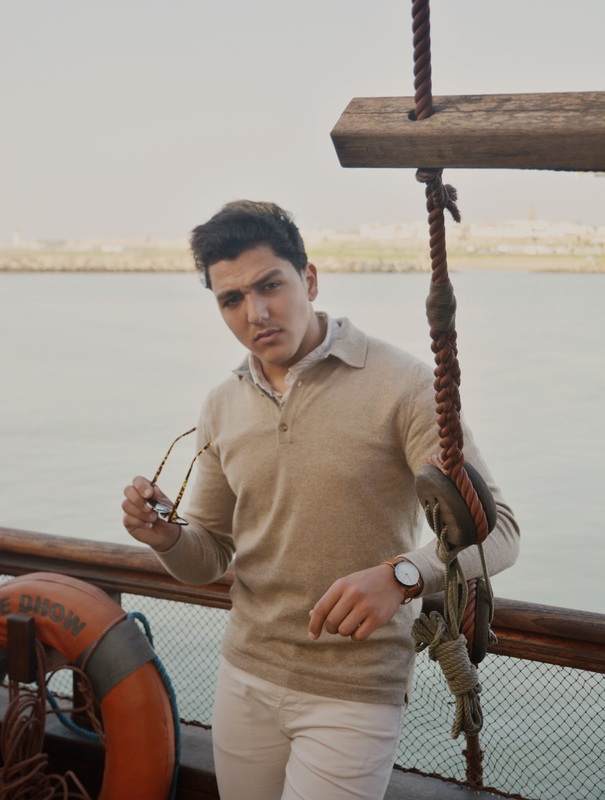 Before i went to the photo shoot i had thought a lot about the place where i'm gonna make the photoshoot that will get long with the style that i'm wearing, that is the reason why i had to go till the river of my city to do the photoshoot in one of the famous boats restaurants in my town " LE DHOW " . I am currently working on many awesome projects so I can’t wait to share it with you guys ! In the mean time make sure you check out fall-winter threads from Luca Faloni HERE, They have also hoodies in cashmere, bags and more just check theme out guys ! Hope you guys like the photos.